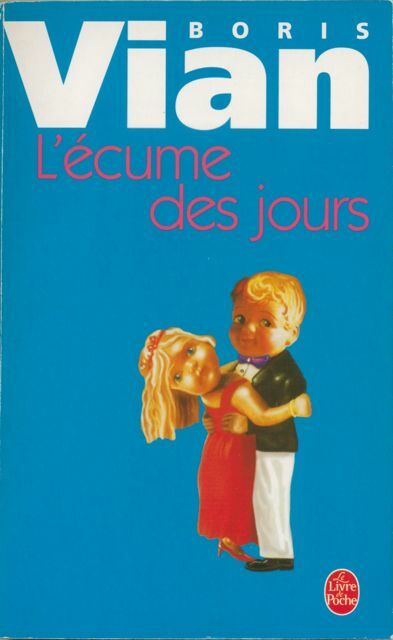 I read in a recent issue of the TLS (22 February) that the director Michel Gondry will soon be releasing a film version with Romain Duris and Audrey Tautou of Boris Vian’s 1947 novel L’écume des jours. The novel, J.C. informs his readers, was translated by Stanley Chapman in 1967 as Froth on the Daydream and by John Sturrock in 1968 as Mood Indigo, which is the title that will be given to the English version of the film. I don’t know which translation is better. I’m not particularly fond of the former which is too literal and kind of meaningless (perhaps like the French title, for that matter? ), but the latter seems too remote from the original. A third translation, by Brian Harper, was published by Tam Tam Books in 2003 and was entitled Foam of the Daze. It’s closer to the original than Mood Indigo, and catchier than Froth on the Daydream, but I’m not still not quite sure what it means. J.C. also informs his readers that the English translation to be published by Serpent’s Tail to coincide with the release of the film will be Chapman’s version, although it’ll be published under Sturrock’s title.